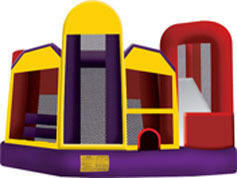 Dodge obstacles, climb, slide, shoot baskets, and bounce around in the five in one inflatable combo! 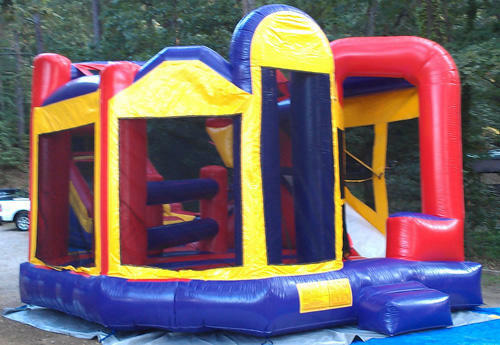 This inflatable also features water in the slide section for extra cool summer fun. Scroll down to see the interactive 3-D model of this combo below!